Samsung is a giant that manages a giant budget for innovation and development, and although not everything has been successes in the search of the future of the market of mobile devices, we have already seen to him ahead of Google in some occasions. This year 2017 only awaits new developments in the last quarter around the update of the range Pixel and Android O, but we do not expect too many surprises already, with a future that aims at artificial intelligence and virtual reality as fundamental pillars of new digital experience. It is in this sense that Samsung has worked more in recent seasons, sometimes disconnecting from an Android platform that seems to develop more slowly. So, leaning on Tizen first came to the smartwaches, and with the help of Oculus anticipated virtual reality, and are not the only examples of a list that encompasses up to 7+ 1 key technologies where Samsung was ahead of the market. Since the fall of the once-ubiquitous Blackberry, the truth is that more professional and business environments have not been over-guarded by the major mobile device platforms. 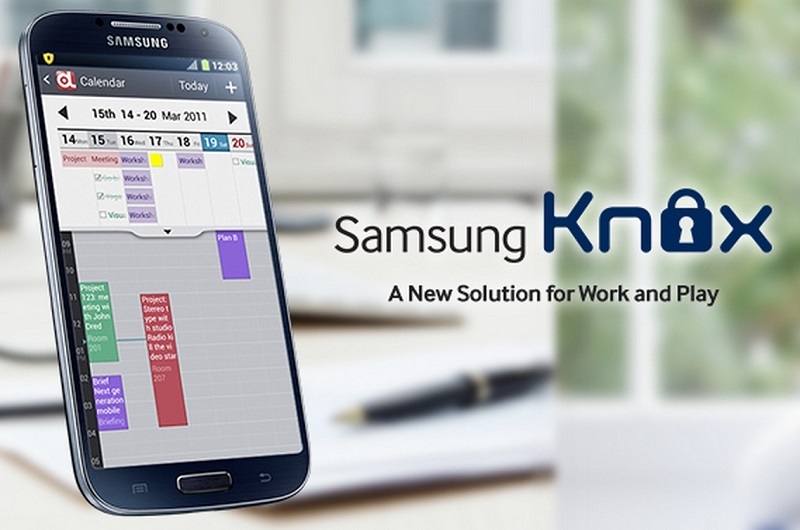 A Samsung accustomed to put its foot in every market gap, he thought that a software suite designed for BYOD environments -Bring Your Own Device- would be ideal for those professionals who wanted to use their own device to work, and with that premise was born Samsung Knox. Surely Knox will not have reported great benefits to Samsung, but the recognition of an industry that has appreciated the effort of Koreans with their security systems, as well as the good operation of Knox in separating the professional environment staff on the same phone. Not surprisingly, Google itself acknowledged that Android for Work had been developed in collaboration with Samsung itself on the basis of the Knox suite, which has been repeatedly awarded as the safest mobile platform in the world to work. One of the most important new features of Android 7.0 Nougat is undoubtedly the multivitamin, or rather split screen, which finally comes natively to Android allowing you to use two different applications on the screen in your smartphone. 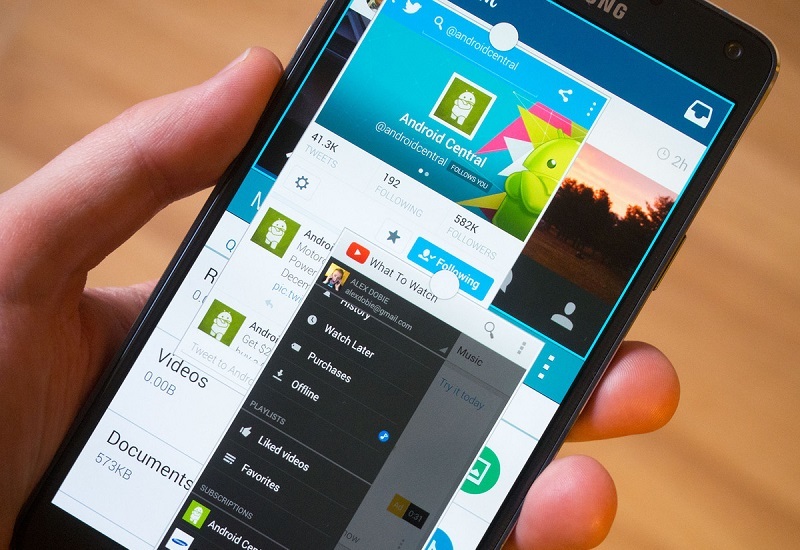 The “real” multitasking is not something new in Google’s mobile operating system, as the Samsung Galaxy Note 3 was launching it hype several years ago, proving that the phablets had arrived to stay and that its capabilities thanks to its great Format were far from the more traditional smartphones. Perhaps it is a more usable functionality in tablets, in fact is one of the bases used by Android tablets aimed at productivity, but it is a proven fact that this is a useful option and it has taken a long time to reach Android natively. Continuing with the most productive features that can be applied to Android, the truth is that we have all long waited for a convergence between the operating systems of Google, Android and Chrome OS, in a development we have known as Andromeda. We do not know if this extended desktop functionality to use Android as a desktop operating system will come with an Android Or that already has two Previews for developers, but chances are that we still have to wait many months to see it. Wait or use Remix OS, the best fork for Android desktop, although if you want is a convergent experience really the only solution is to look in the Samsung catalog. 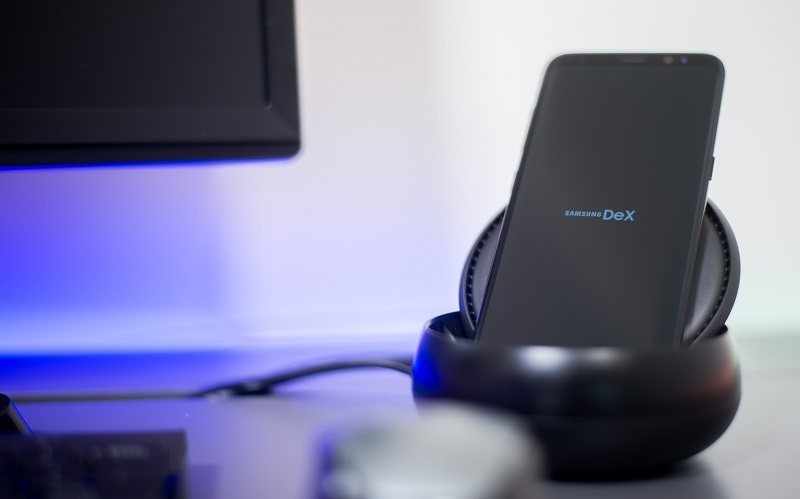 Take the wallet, you will need to buy a Samsung Galaxy S8 or S8 + and its Samsung DeX base, which with the help of a keyboard, a mouse and an external monitor will turn your smartphone into a basic desktop PC. No one said that the novelty was cheap. Far from the war of mobile payment services, where all the actors involved want a leading role, the truth is that Samsung Pay returned to anticipate the competition, where it officially arrived last summer anticipating about six months to an Apple Pay presto for the last Christmas campaign. 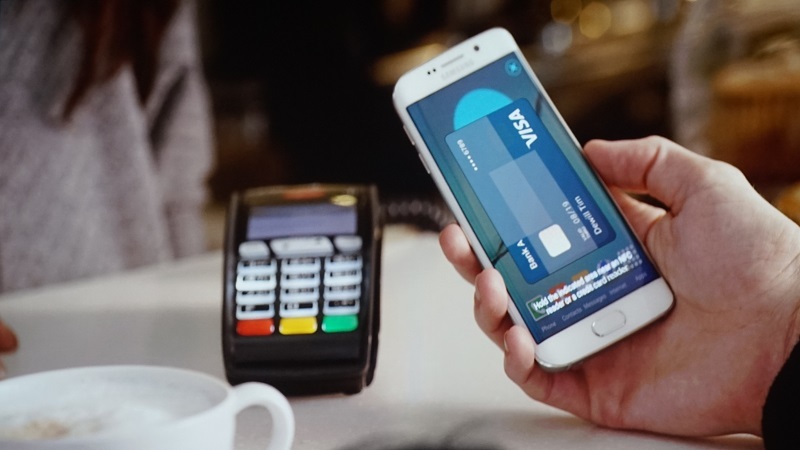 Neither banks, operators nor device manufacturers have agreed at the moment to converge towards a payment service, and in fact Samsung Pay offers support only for cards of four banking entities. Apple Pay is no better, born of the hand of Banco Santander, and other banks like ING Direct use their own mobile payment gateways. There is still a way to go, but the truth is that payments with the smartphone have also come to stay and Samsung again has been in the forefront of the market. And where is Android Pay? As the Android native mobile payment service, presented together with Android M in the Google I / O 2015 , will arrive very soon according to promises from Google, which at one of the conferences of I / O 2017 confirmed that Android Pay is already On the ramp of departure in our country. There is very little left to see if your arrival is the definitive push to payments with the smartphone. Intelligent clocks do not just take off in the market, perhaps because the needs of users are not too defined for this type of devices in a rather immature market. 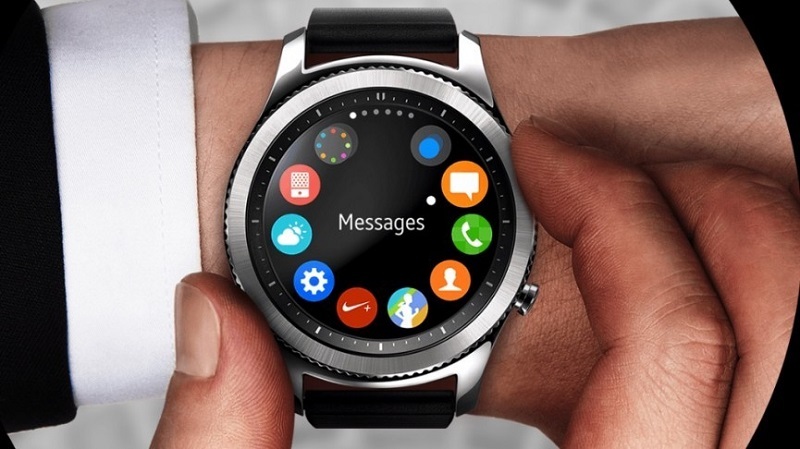 It must be recognized however that if a manufacturer has tried with the smartwatches this has been the Korean giant Samsung, who already walks by the third generation of his Gear S and counting a good range of watches since in 2013 came the Samsung Galaxy Gear. All clocks least one -the Samsung Gear Live – have opted for a resurgent OS Tizen , which in its version for wearables will take a huge advantage to a late and testimonial Android Wear too limited and not likely. Google knows this and perhaps that is why Android Wear 2.0 has brought fresh air and independence to devices that begin to specialize in the sport, although there is still a long way to go. Another point for Samsung. That Samsung has been one of the most committed manufacturers with the arrival of the wearable devices is no accident, and good proof of this is Samsung SimBand. 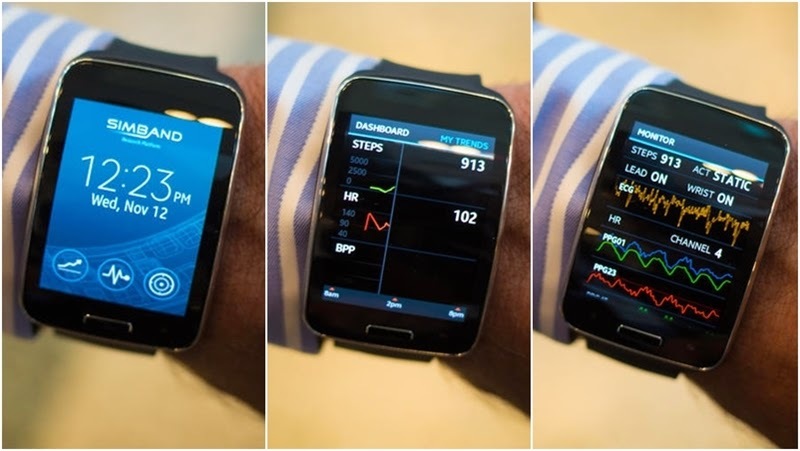 A couple of years ago the mHealth division of Samsung introduced its prototype modular development platform and Open Source to work with health-centered wearables, opening the project to developers and publishing an SDK. It is true that SimBand has not brought too much news to the industry, but spending on R & D has been used by Samsung to integrate in its devices more leading sensors dedicated to collect information about the health of its users . The Samsung Gear Fit 2 advances in the idea of ​​the SimBand, and although it is far from references in the quantification like Fitbit the starting point is promising. Samsung Health also came along with the company’s first wearables, long before Google launched its Fit platform for daily exercise quantification. In addition, such quantification depends largely on a software suite that can take advantage of the data collected, and Samsung Health is far from Google Fit in terms of functionality , although obviously it is halfway to compete with Fitbit or Jawbone. If you have managed to get here and we talk about the future of the smartphone market, surely everyone will be thinking about virtual reality and augmented reality, the last battlehorses of consumer electronics. Social phenomena based on augmented reality like Pokémon Go are to blame, although virtual reality gains ground in the leisure for its spectacularity and the experiences that allows us to live – in the first person. Samsung and Oculus bring us the Gear VR glasses, a must-have accessory for Korean high-end smartphones, which again came much earlier than Daydream, Google’s Android VR platform. We must admit that Google has won the game in augmented reality with Project Tango, a technology that brings space intelligence to smartphones and is now available in the market for some terminals that implement its triple camera system. 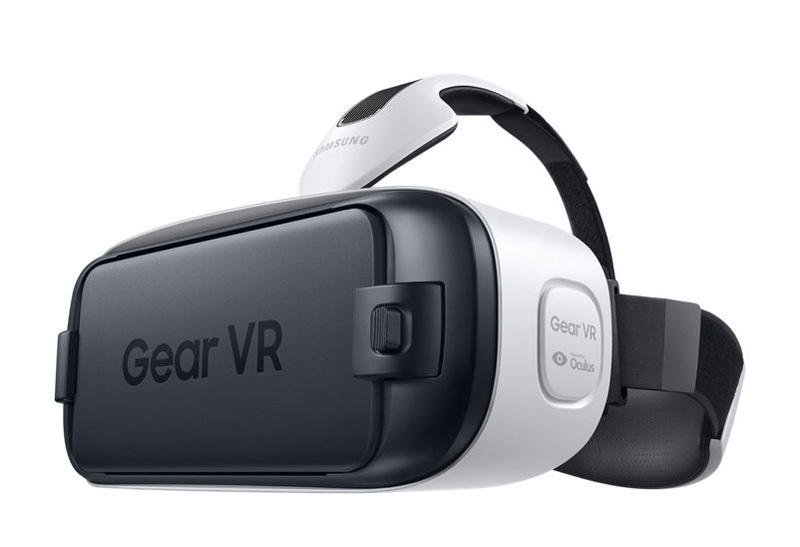 Returning to the virtual reality, the position of Samsung and its Gear VR platform designed with Oculus is advantageous, because it is already functional, has its application store and a large catalog of titles and experiences, and the mass of users is large after after the Korean giant gave away the Gear VR to all buyers of a Galaxy S7 last year. With the new Gear VR with wireless controller new arrivals to the stores in our country, virtual reality also expects a push to popularize it to reach all, but here we have no doubts as the future goes through this technology. They are not the only technologies that Samsung has brought to smartphones, standing in such a fleeting and volatile market as this would indeed be a major mistake, but we have already tapped into the key technologies that the Korean giant has come before. However, it would not be smart to leave us in the foreground one of Samsung’s biggest hits since its landing on the Android platform. If we were to ask for sure that many would have guessed it, as we obviously talked about the Galaxy Note range and the birth of a phablet range that came to stay. And what key technology accompanied the birth of large-format phones? 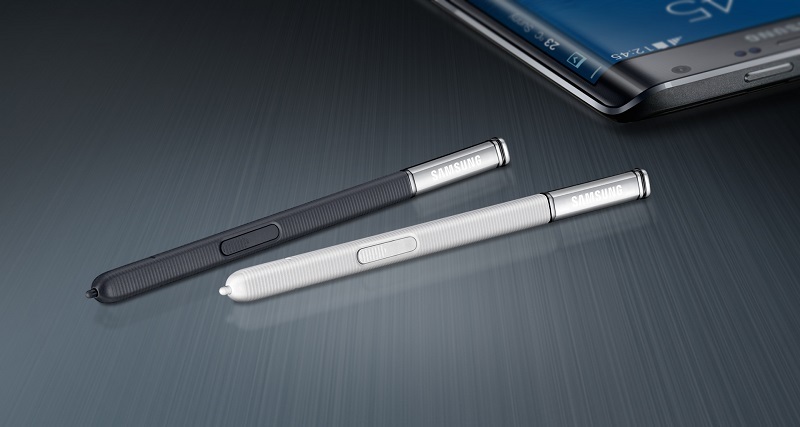 For nothing less than the S-Pen, the optical stylus with Wacom technology that seeks total productivity in the smartphone. Samsung has not had any luck with its latest Galaxy Note, other years the true protagonists of its catalog, but it is expected that after a botched Galaxy Note 7 the iteration of this 2017 is a turning point for a Samsung still recovering from the scares of last year. As we have seen, the Korean giant has been at the forefront in many of the most important developments that we have experienced in the smartphone market, but to achieve success, the most common is to always fail before. In the path of innovation and development of Samsung there have also been many moles and many features forgotten, and the first of them is a TouchWiz customization that does not stop slimming to make way for that version of Android much cleaner than all users of Samsung claimed. In fact, Samsung and its customizations on Android had not stopped raging flurries of criticism until the arrival of the Galaxy S7, which marked a before and after leaving behind an infinity of confusing features, saturated menus and an overloaded interface that introduced even slow operation. Surely everyone will remember functions of dubious utility like Smart Scroll, which never got to go quite well when it comes to scrolling by looking at the device. Neither other applications that previously came pre-installed as Group Play, Smart Tutor, PEN.UP, etc. Even duplicate services like S Translator, which do not contribute much value, lose meaning having Google Translate natively integrated into Android. One could even count among the mistakes the arrival of the Galaxy Alpha, the first of the Samsung that introduced the metal among its materials, and that soon was discontinued in favor of cheaper constructions. Its design and hardware left it midway between high and mid range, but with a price far from its competition. That yes, left a design heritage successful for Galaxy Note 4 that in its day marked figures of bestsellers.